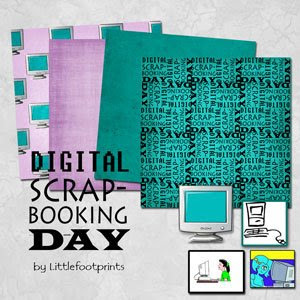 annie's littlefootprints: Happy Digital Scrapbooking Day! Just a quick post here-- I wanted to offer up this mini kit for Digital Scrapbooking Day! It has 4 papers, 2 overlay/wordarts, and a page of computer clip art. Enjoy!